There are certainly some negative aspects to life in the kitchen; however, those who have enlisted in the cause of great cooking will typically demonstrate a true passion for their choice of careers. Some may reflect on the physical demands, the required emotional conditioning, the military approach towards organization, the fickle restaurant guest, the social isolation and the long hours, but what is often overlooked is the pearl within the oyster shell. 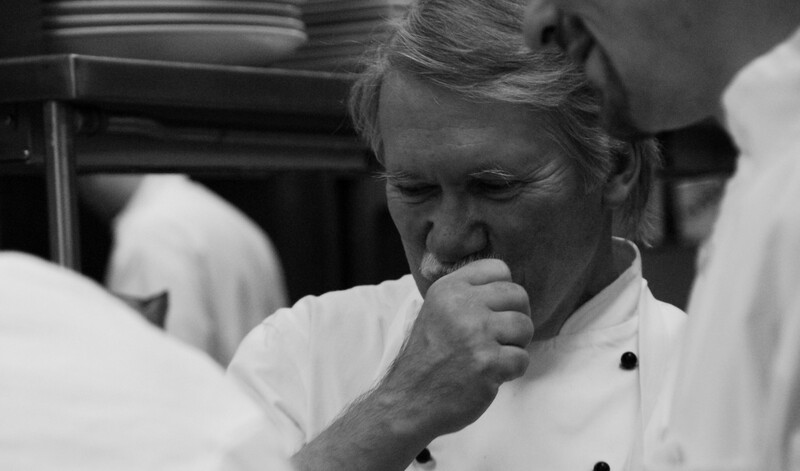 The opportunities that are present for every line cook lie within the grasp of the individual. The only question is how hungry is the cook for more. This open letter is simply put – recognition of opportunities, definition of the prize, and a few recommendations on how to grab hold of them. If we begin with an understanding that everything about food is important to those who consume it, then we can wrap our arms around how significant the role of cook is. We help to nourish our guests, provide a reward system for them that may be lacking in the workplace or even at home, create a stage for people to have fun and network with friends, make important connections between farmers and consumers, and contribute to the establishment of culture both in the neighborhood and the home. To be a cook is one of the oldest and noblest professions known to mankind. Every cook should take pride in this realization. Think about the real skills and habits that are built in a professional kitchen and how applicable they are to life and career: be on time, be prepared, organization is critical to success, work well with others, respect the role that everyone plays in process of accomplishing goals, cleanliness is very important, don’t accept mediocrity, be consistent, stay focused, and the list goes on and on. Whether you stay working in the food business or choose to move on to some other discipline, what you learn in a kitchen is a life lesson, a life lesson that will define how you work and how others perceive you. If I had to pick one aspect of working in a kitchen that is most rewarding (when it works) is the charge that cooks get from working together on a busy night. When everything clicks, the line is a thing of beauty. The orchestration of and symmetry that exists in timing, tasting and plating is always exciting to watch and experience. There are very few jobs that require this level of collaboration and provide such an opportunity every minute of every day. The kitchen allows and requires that everyone take a supportive role knowing that everything is everyone’s job. It never matters how old you are, what size you are, what gender, race, ethnicity, political affiliation, or religion you might support, the only thing that matters is that you do your job as designed, to the best of your ability. Everyone must, due to the nature of the work and the demands placed on the team, accept their individual role and jump in to help others whenever needed. Everyone in the kitchen is equal. Every line cook can aspire to a larger role: sous chef, executive chef, food and beverage director, owner, restaurant manager, etc. All that is required is a commitment to grow. The challenge is that those positions do not simply come your way because you are close at hand. Line cooks with a vision need to invest the time and seek out opportunities to learn and grow. You want to move to a sous chef role – then ask the chef to show you how the schedule is determined, how prep sheets are developed, how to determine the amount of product to order, how to check for quality, and which purveyors are selected and why. Volunteer to take inventory with the chef, ask if you can participate in the menu planning process, and offer to rework the recipe file. The hungry get fed, the hardest worker receives the reward, and the knowledge worker is next in line for more responsibility. This attitude and commitment will be noticed and will always set the stage for the next position in a line cooks career plan. There is never any excuse for mediocrity. The restaurant’s reputation is based on not just quality product, but even more importantly – CONSISTENT quality product. Cutting corners at the expense of this informal guarantee to your guest is the kiss of death for the restaurant, for the cook, and for the chef. Don’t cross that line. Physically, the job is relentless. You cannot afford to, “Make a promise that your body can’t fill” (Little Feat). It is extremely important, if a line cook is to extend his or her useful life in a kitchen and set the stage for growth to other positions, to take care of the most important tool in your toolbox: your body. Eat well, eat appropriately, hydrate, exercise frequently, buy the right shoes, bend when you lift, use dry side towels when grabbing a hot pan or tray, and see a doctor on a regular basis. Just like an athlete – physical preparedness is just as important as knowledge of the sport. In this case, the sport is cooking (just as demanding as many athletic sports). 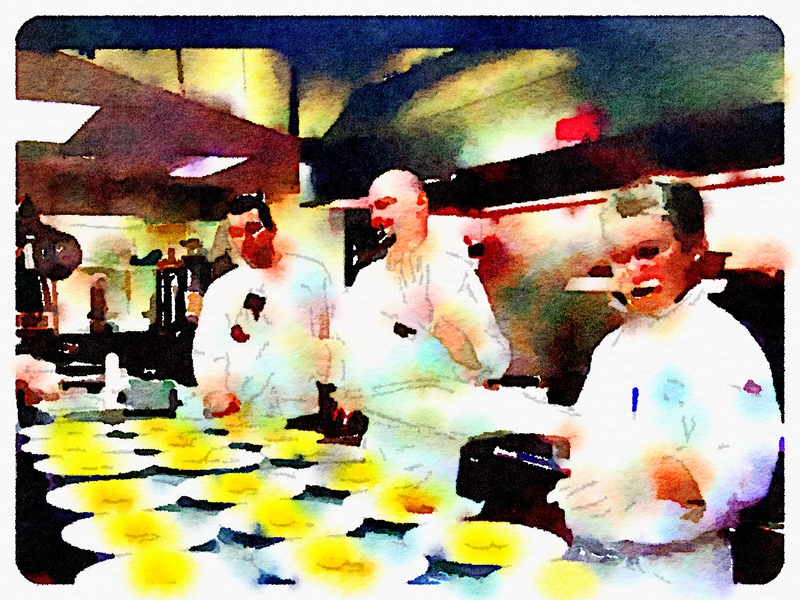 Cooks who have a desire for more, for that opportunity at a chef’s position or maybe ownership, need to constantly work at expanding their base of knowledge. First, the kitchen is a mental game; you need to be focused at all times. Secondly, as you grow professionally, so too must your understanding of business, human resource issues, marketing, accounting, menu analysis, customer relations, communication, and technology. Remember, that next position will not come to you simply because you are present, you will need to prepare for it. If school is not an option, then you must work on how to become self-taught, or again, volunteer to work with the chef on building those skills over time. There should never be a day that goes by that you say: “I didn’t learn anything new.” No matter how small, build knowledge and skill improvement into your daily schedule. 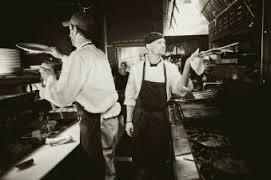 This is how the line cook becomes the sous chef, and eventually becomes the executive chef. When you reach that next role in a professional career track, don’t ever forget that your success will depend on those who continue to serve in the capacity of dishwasher, prep cook, line cook, server, bartender, and so on. We often hear about the negative aspects of working in kitchens: long hours, working holidays, lack of time with family, low pay and minimal benefits, etc. The need for some level of change is always there. It is up to this generation of cooks to help determine how these factors can be improved so that working in the kitchen can survive as a life-long career choice. Be the answer. If you want to move ahead then be totally committed to excellence. Become the most efficient, conscientious, fast, knowledgeable line cook with spot on flavor memory and impeccable plate presentations. This will be noticed inside and outside of your current place of employment. Remember – build your personal brand. Your primary job is to please the guest with consistently outstanding food and service. If this is done then the secondary task of helping to ensure restaurant financial success will be the byproduct. Help everyone in the organization reach his or her personal and collective goals and your value will increase exponentially. Build your peers up and avoid dragging them down. We all have strengths and weaknesses – recognize their strengths and help them through their areas of weakness. Those who win by walking over others in the process will be haunted throughout their careers. Some facets of kitchen life are built from strong traditions that came from chefs such as Careme, Escoffier, and Point. There is a real value in protecting these traditions and honoring the efforts of great chefs and restaurateurs. However, things change, technology improves, customer tastes evolve, and as cooks we must also be willing to question and change. Offering suggestions to the chef that you work for will generally be well-received if you do the research, demonstrate the benefits, and pick a time for questioning that does not interrupt the crazy flow of business through your current system. If at all possible – avoid selecting a position in a house that does not live by the mantra of excellence, team, service, and support. Find out which restaurant has the most admired chef in town and the most cohesive team and work hard to join their effort. Resumes are built by making selective decisions that will help you to build skills, and support your brand building efforts. This can be a wonderful business with limitless opportunities to grow professionally. Your commitment and effort is the key to success. Today is always a stepping-stone for tomorrow. Thank you to all of the chefs mentioned in this article for their spot on, inspiring quotes. Pictures: The Tailor and the Cook Restaurant in Utica, New York: Tim Hardiman & Tim McQuinn on the line. The Mirror Lake Inn – Plating for the Adirondack Food and Wine Festival. Excellent article. Every cook should read this!